Reading and share top 10 famous quotes and sayings about Anthologies by famous authors and people. 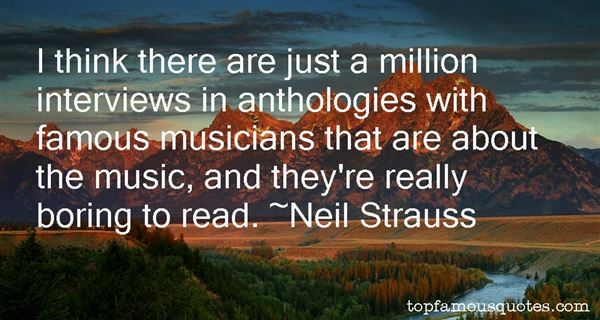 Browse top 10 famous quotes and sayings about Anthologies by most favorite authors. 1. "I'll tell you what I miss most. 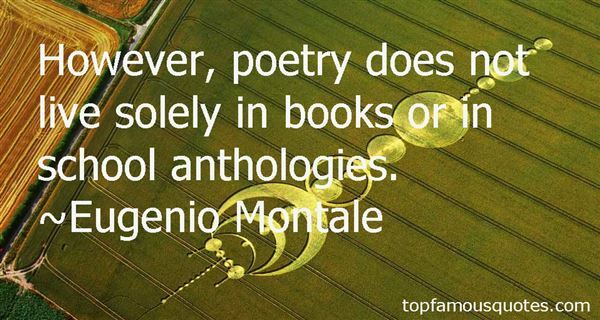 What I would love to do, more than anything, is just anthologies. With an anthology you can tell any story and be in every division of television. We don't have any anthologies anymore, do we?" 2. "The first writers are first and the rest, in the long run, nowhere but in anthologies." 3. "As long as mixed grills and combination salads are popular, anthologies will undoubtedly continue in favor." 4. "However, poetry does not live solely in books or in school anthologies." 5. "I tended to be drawn to the weirder, darker stuff. Horror and sci-fi anthologies." 6. "Oh, I love to read more than anything. I always love the 'New Stories From the South' anthologies - I think it's the best short fiction collection anywhere, just filled with treasures." 7. "Editors of open anthologies actively seek submissions from all comers, established and unknown. They are willing to read whatever the tide washes up at their feet." 8. "I think there are just a million interviews in anthologies with famous musicians that are about the music, and they're really boring to read." 9. "Do you know why teachers use me? Because I speak in tongues. I write metaphors. Every one of my stories is a metaphor you can remember. The great religions are all metaphor. We appreciate things like Daniel and the lion's den, and the Tower of Babel. People remember these metaphors because they are so vivid you can't get free of them and that's what kids like in school. They read about rocket ships and encounters in space, tales of dinosaurs. All my life I've been running through the fields and picking up bright objects. I turn one over and say, Yeah, there's a story. And that's what kids like. Today, my stories are in a thousand anthologies. And I'm in good company. The other writers are quite often dead people who wrote in metaphors: Edgar Allan Poe, Herman Melville, Washington Irving, Nathaniel Hawthorne. All these people wrote for children. They may have pretended not to, but they did." 10. "Now, to read poetry at all is to have an ideal anthology of one's own, and in that possession to be incapable of content with the anthologies of all the world besides." The worse they are the more they see beauty in each other."